October | 2012 | Shelf Elf: read, write, rave. This year, I’ve had a number of teachers ask me to help particular students find “just right books” to read in our early chapter books section of the library. These are typically students in grade 2 who struggle with reading, but who want to read chapter books because so many of their peers are reading them. 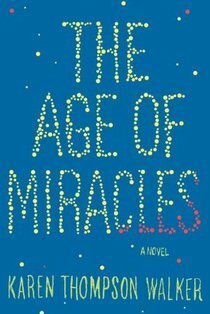 Finding a chapter book that is not too challenging, but that appeals to a kid who doesn’t want to feel babyish, is no easy feat. I have made it a mission to beef up this part of the collection, because I want the kids to find books that are just right in terms of reading level and themes, so that they don’t gravitate towards books that are way beyond them but that look cool, such as Diary of a Wimpy Kid and The Strange Case of Origami Yoda. One go-to series for emerging readers is Princess Posey. In each of these little chapter books, Posey faces a small challenge, usually centered around having to be more independent, and with some encouragement and guidance and her own indomitable spirit, she always rises to the challenge and grows a little. In Princess Posey and the Monster Stew, Posey feels shy about the fact that even though she’s in grade one now, she’s still a little scared about Halloween. She wishes she could use her flashlight, like she did in kindergarten, and when she thinks about the “Monster Stew” they will be making in her class, she gets shivery. She knows she shouldn’t be frightened, but she can’t quite convince herself to be brave. Stephanie Greene succeeds brilliantly at portraying the perspective and emotions of a typical first grader. The language is carefully chosen to be accessible to readers who are just getting comfortable with longer sentences and longer stories, but there’s plenty of personality coming through, particularly in the dialogue. The layout is friendly, without too much text on each page, and Stephanie Roth Sisson’s sweet and expressive illustrations bring Posey and her little adventures to life perfectly. 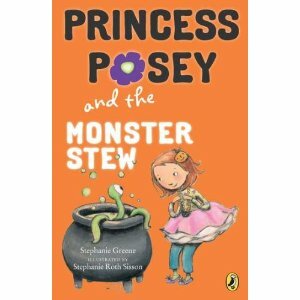 Princess Posey and the Monster Stew is a just right treat for Halloween, and all the rest in the series will likely charm even the most reluctant reader. Lucky for us, there are more on the way! Princess Posey and the Monster Stew is published by G.P. Putnam’s. This entry was posted in Early Chapter Books and tagged G P Putnam, Halloween, monster stew, Princess Posey, Stephanie Greene, Stephanie Roth Sisson on October 31, 2012 by shelfelf. It makes me happy whenever I think about how there were so many brilliant books that I discovered for the first time when I worked at The Flying Dragon Bookshop. Goodnight Mr. Tom, Millions and Framed, How I Live Now, Clementine, Bark George… I could fill a post with only the titles. I love that if I close my eyes, I can picture where those books lived in the store and remember going over to the shelves to pull out just the right one to share with a customer. I hope I am able to conjure the store in my mind for my whole life. The reason I mention this, is that I was thinking about the store today as I was remembering one of my favourite “Flying Dragon Finds”: Cynthia Rylant’s Mr. Putter and Tabby series. Talk about perfect early readers. What makes a perfect early reader? For me, it’s memorable characters, gentle humour, dynamite illustrations that enrich the narrative world beyond the words, and text that manages to still be cleverly crafted and lovely to read even though there aren’t as many words on the page. Cece Bell’s new reader, Rabbit & Robot: The Sleepover has all of these qualities, which means I’ve got my fingers crossed that there will be more installments featuring these two quirky buddies. When Robot suggests shaking things up a little with a game of Old Maid or Crazy Eights, Rabbit is not into it. He is determined that they will stick to the list. When Robot doesn’t want to have the kind of pizza Rabbit planned, Rabbit freaks out. You can see where this is going. The push-pull, give-take of this strange friendship makes for hilarious scenarios that kids are sure to love. The little book is packed with dialogue, which brings the characters’ contrasting personalities vividly to life. Bell’s bold illustrations capture the warmth at the heart of this wacky little relationship. A sweet tribute to the way that the best friendships can stretch us and bring us new experiences and plenty of laughter along the way, Rabbit & Robot is delightful from beginning to end. 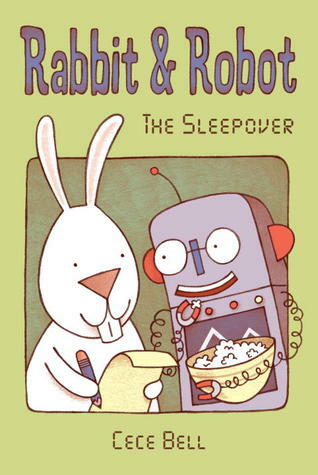 Rabbit & Robot: The Sleepover is published by Candlewick. This entry was posted in Early Chapter Books and tagged Candlewick, Cece Bell, Illustration, making lists, rabbit & robot, sleepovers on October 26, 2012 by shelfelf. I’m not normally a giveaway girl, but I couldn’t resist jumping in on this fun tour from Penguin. All week long, at various cool blogs (*tooting own horn*), you’ll find not only some of the best middle grade reads from Penguin, but also fun Halloween costume suggestions for book lover. We’re only one week away from Trick or Treat, so it’s the right time for a little inspiration, don’t you think? 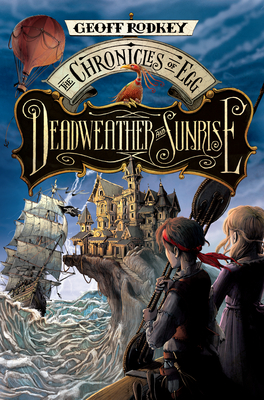 Deadweather and Sunrise: The Chronicles of Egg, Book 1 by Geoff Rodkey, a stunning middle-grade debut full of heart, humor, and nonstop action. It’s tough to be thirteen, especially when somebody’s trying to kill you. Not that Egg’s life was ever easy, growing up on sweaty, pirate-infested Deadweather Island with no company except an incompetent tutor and a pair of unusually violent siblings who hate his guts. But when Egg’s father hustles their family off on a mysterious errand to fabulously wealthy Sunrise Island, then disappears with the siblings in a freak accident, Egg finds himself a long-term guest at the mansion of the glamorous Pembroke family and their beautiful, sharp-tongued daughter Millicent. Finally, life seems perfect. Until someone tries to throw him off a cliff. Suddenly, Egg’s running for his life in a bewildering world of cutthroat pirates, villainous businessmen, and strange Native legends. The only people who can help him sort out the mystery of why he’s been marked for death are Millicent and a one-handed, possibly deranged cabin boy. Come along for the ride. You’ll be glad you did. Impersonate a pirate like Egg this Halloween! With these easy costume ideas, no one will dare try to pillage your candy haul! 1. Grab some old clothing and sew or glue patches onto your pants and elbows. 2. Using eyeliner or face paint, create a “five o’clock shadow” by rubbing it on your chin and cheeks. Pirates don’t have time to shave! 3. Get a big piece of black construction paper and search “Make your own paper pirate hat” on the internet to complete your outfit. 4. Grab a toy parrot, a toy sword, or make a treasure map like the one on http://chroniclesofegg.com/ so you can navigate the treacherous Trick-or-Treat waters safely! You can purcase the Chronicles of Egg here: Indiebound or Amazon. Now… the giveaway! Thanks to Penguin, I’m happy to giveaway a set consisting of each of the books featured throughout the tour, to one lucky winner! Leave a comment below, including your Halloween costume plan for this year, or perhaps your favourite spooky read for the season, and the winner will be selected on October 31st. 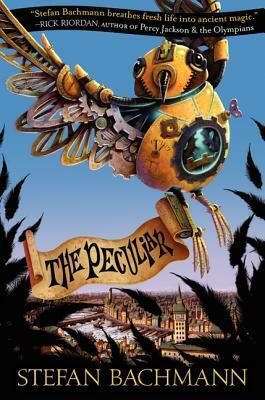 This entry was posted in General and tagged giveaway, Halloween, middle grade, Penguin on October 25, 2012 by shelfelf. Admit it. You’ve looked at a sweet potato and thought, “Man, now that is one ugly vegetable.” Don’t try and deny it, because we’ve all done it. But, while sweet potatoes are not known for their beauty, they certainly are delicious little tubers. 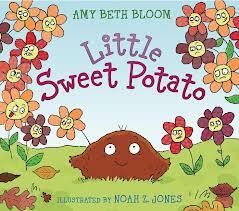 We probably shouldn’t be talking about that fact here, since Amy Beth Bloom’s picture book, Little Sweet Potato, features a sweet potato hero so cute that he may make you feel a little bit guilty the next time you tuck into a pile o’ sweet potato fries. This is a classic “looking for where you belong” story, set in the veggie patch. When a rumbly tractor shakes Little Sweet Potato right out of his comfy garden home, there’s nothing left for him to do but to venture out into the world, looking for somewhere to put down roots. (Sorry, couldn’t resist). After being insulted by some conceited carrots and egotistical eggplants, he concludes that the world has some pretty “mean vegetation” in it. But just when he’s about to give up, Little Sweet Potato discovers a place where all veggies are welcome, no matter how lumpy and bumpy they might be. While the narrative is fairly predictable and in places, a touch wordy, the quirkiness of Noah Z. Jones’ bright cartoon illustrations brings Little Sweet Potato to life and makes the whole package charming. This is a keeper for classrooms and school libraries, sure to remind kids that beauty is empty without kindness. Little Sweet Potato is published by Katherine Tegen Books. This entry was posted in Picture Books, Teacher Titles and tagged acceptance, amy beth bloom, Katherine Tegen Books, noah z jones, sweet potato on October 22, 2012 by shelfelf. Okay peeps, if you know a kid who is suffering from a serious case of grouchiness, I can help. I can help because I have discovered a graphic novel series so adorable, so funny, so full of pep and personality that I can more or less guarantee that reading these books will turn any frown upside down. May I present, Guinea PI(G), Pet Shop Private Eye. If you haven’t already discovered this charming collection, you will thank me. (You will also probably be stealing them from your kid’s bookshelf because they are So Much Fun to read). 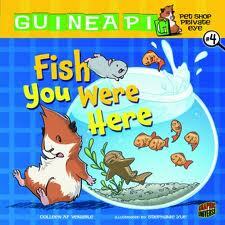 Who says a grown up can’t read a book with a cartoon guinea pig on the cover, right? When the “G” falls off of the GUINEA PIG sign on Sasspants’ cage, Hamisher, the new hamster in Mr. Venezi’s pet shop, makes the mistake of thinking that Sasspants is a private eye. Sasspants would much rather hang out on her own, reading books, but Hamisher won’t let up until she “helps” Sasspants to solve the mystery of the missing sandwich (book 1), discover the identity of the pet shop ghost (book 2), crack the case of the strange sign vandal (book 3), reveal the truth behind Mr. V’s new assistant (book 4), and track down the missing bookstore cat (book 5). The mysteries are small, the characters are small, the books are small, but the heart and the humour and the entertainment value are big. These books make the perfect introduction to the graphic novel genre for young readers as the stories are just the right length and are easy to follow. Kids love scenarios featuring bumbling adults. Mr. Venezi, with his mislabeled animal cages (chinchillas are camels, mice are walruses), and his generally clueless nature, will definitely get kids smiling. The personality of each of the animals is distinctly kooky, as Colleen A.F. Venable nails the dialogue, packing it full of laugh out loud moments and plenty of sass. You get the feeling as you read that Venable really enjoys writing these characters. It’s hard to choose which one of the little critters is my favourite. Hamisher is pretty awesome, with his flair for the dramatic, Sasspants is ingenious, and the fish are hilariously stupid. The panel layout is nice and simple, and Stephanie Yue’s artwork is wonderfully bright and clean, with huge visual appeal. Plus, she doesn’t let Venable get the credit for all of the jokes. There are plenty of super funny moments added into the visuals. The animals’ facial expressions alone are smile-worthy. Finally, each book finishes with two pages of related non-fiction info, such as how snakes swallow things that are four times the size of their heads, how mice squeeze through dime-sized holes, and everything you every really needed to know about ferrets, exactly the kind of stuff that kids cannot resist. 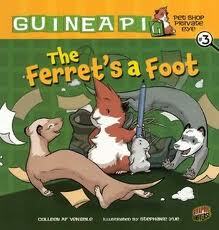 Guinea PI(G) Pet Shop Private Eye is just right, in every way. We need more graphic novels as clever and smartly put-together as this delightful series. A total crowd-pleaser. 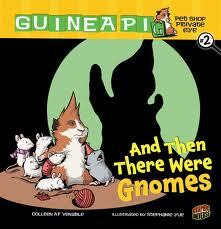 Guinea PI(G) Pet Shop Private Eye is published by Graphic Universe. 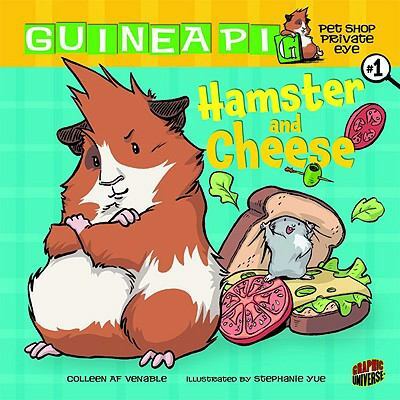 This entry was posted in Cute as all get-out, Graphic Novel, Illustration and tagged Colleen AF Venable, Graphic Universe, guinea pigs, hamsters, private investigator, sasspants, Stephanie Yue on October 19, 2012 by shelfelf. After a chilly weekend with lots of leaves blowing about outside, I’m feeling like it’s nearly the time of year when there’s nothing I like more than hanging out at home with my favourite people (and animals) and lots of good things to eat. 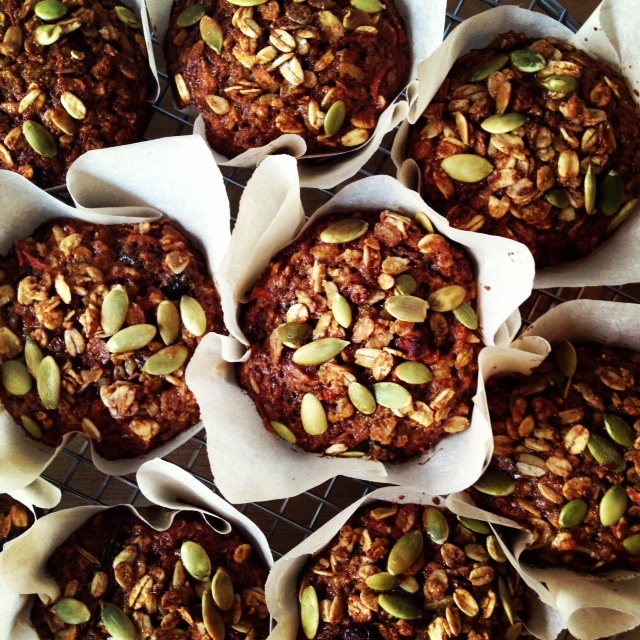 Speaking of good things to eat, I made these muffins over the weekend, and you should too. I have to share a picture, then I promise we’ll get to book talk. There’s something particularly cozy about fall, don’t you think? It has me thinking about cozy recipes, cozy sweaters, and cozy books. Also cozy blankets, like this one. (Ah Anthropologie… how I long for you). What is it about the end of the world that makes me want to cuddle up with a kitten and some hot cider? Weird, huh? Deserves to be bought for the cover alone. Supposed to be a little bit like The Graveyard Book with a some steampunk-y flair. Yes, please. 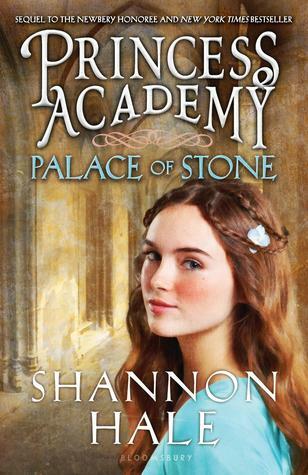 A little Shannon Hale fantasy + a cup of milky chai tea + a pumpkin cinnamon roll = Sunday morning perfection, I’d say. 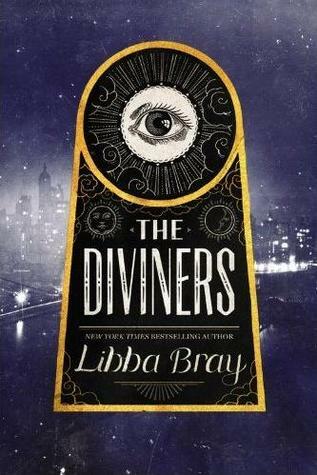 1920s New York murder mystery, rave reviews, imagined by Libba Bray’s genius brain. I’m in. Got any cozy book suggestions? Anything that really grabs hold of you and begs you to sit still on the couch for hours and hours wrapped up in a blanket? 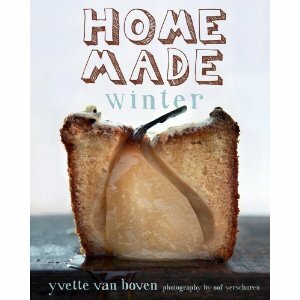 This entry was posted in General and tagged cozy books, fall, muffins on October 16, 2012 by shelfelf. Gosh it’s nice to read such a good yarn, because that’s how I’d describe Lauren Oliver‘s new middle grade novel, The Spindlers. It’s the kind of book you want to escape into, curled up under a blanket on a chilly day. When the spindlers steal Liza’s brother’s soul, only Liza knows what must be done. She descends Below to rescue Patrick’s soul, to an otherworldly place filled with strange creatures. Some are helpful, like the lumer-lumpen, who light the woodland paths, and the nocturni, the caretakers of human souls. Others are terrifying, like the scrags, the shape-shifting lizard-like minions of the spindler queen. Oliver’s book has all of the trademarks of a fine quest story, and as Liza makes her way, relying on her wits and the help of those she meets, the narrative will call to mind some of the best-loved books about venturing to other worlds, such as Coraline, Narnia, and Alice in Wonderland. There’s something comfortable about recognizing the conventions of a particular type of story, don’t you think? It’s a mixture of feeling reassured and delighted, like when it’s getting close to Christmas and you start taking out all of your most loved decorations and setting them up around the house. “Oh yes, there you are!” you think when you unwrap your favourite ornaments after months of forgetting about them. So in The Spindlers, when you first meet the eccentric talking rat Mirabella, you soon see that she will be Liza’s guide on her adventure and it starts feeling like the story is falling into place in a way that is familiar and magical at once. 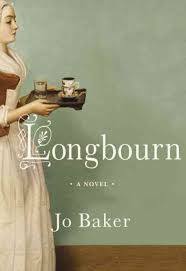 By the time I reached the last part of the story and it became clear that it was going to end with a “test of wills” where Liza would have to outsmart the spindler queen in order to win her brother’s soul, I was a very satisfied reader. I love that plot element of many quest stories. What I think is special about The Spindlers is that Oliver manages to offer readers a conventional quest structure, but with more than enough creativity in the world and characters she has imagined to make the book feel different and memorable in its own right. I’d say it’s less frightening than Coraline, but just as captivating. I think it could be quite something in a graphic novel format too. Iacopo Bruno’s striking cover certainly gets me wishing that there were some illustrations scattered throughout the book. 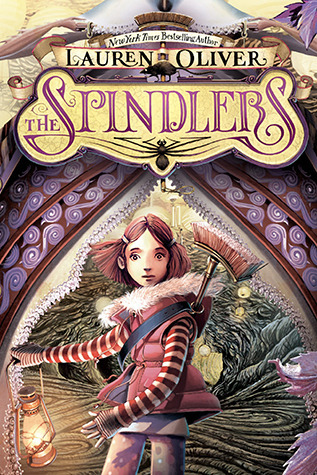 A gorgeous new adventure that belongs right next to some of the great classics, The Spindlers will be winning over readers for a long time to come. The Spindlers is published by Harper. This entry was posted in Fantasy, Middle Grade and tagged Alice in Wonderland, Coraline, Harper, Lauren Oliver, Narnia, spindlers on October 10, 2012 by shelfelf.